Would you like an Obama Phone with your ObamaCare? Believe it or not, you may be able to get a free government cell phone when you sign up for ObamaCare. And not just any cell phone, mind you, but a smartphone. According to the Nashville Business Journal, Community Health Alliance (CHA), the official ObamaCare health insurance co-op in Tennessee, is luring in potential healthcare insurance consumers by offering them of a free Obama Phone. Strange as it may sound, the CHA enrollment promotion offers health insurance in exchange for a smartphone. If you qualify, CHA will give you a LG Lucid 2 4G smart phone (or as the car rental companies say, “or something similar”) when you sign up for ObamaCare. They’ll also include phone plan and tech support as benefits of the healthcare plan. And as they say in the infomercials, “But wait..there’s more” because you’ll also get unlimited talk and texting plus 1.2GB of data. CHA justifies making a free smartphone part of healthcare by saying it will make it far easier for patients to stay connected with their medical care providers and will also help the organization stay in touch with its members. We’re sure that cynics will scoff at this proposal, but it makes complete sense to us. Helping low-income Americans stay in touch with their medical care providers has always been one of the free government cell phone program’s stated goals. We say bravo to the forward-thinking folks in Tennessee. Hi, I am Jamelle charise Gill. I’ve applied for a free government smart phone several times and never received one yet. I’m currently unemployed, have no insurance or income due to a traffic car accident this past April. I would like a free Obama phone delivers to *** ******** ***. Rutledge, Ala *****. THANKS! That’s what this website is all about, Natalie. Click around to find out all the basics. Read this website, Carla. It tells you everything you need to know. Click around this website, Gholey. You’ll find all the info you need. You need to contact your service provider’s customer service team, Erica. They should be able to help you solve your problem. What was it disconnected? Odds are that you will need to go through the application process again. Contact your service provider’s customer service team, Joel. You can’t get ahold of “us” because we are not a free government cell phone company, Eva. This is an independent informational website. Call 6-1-1 on your free government cell phone to be connected to customer service. HI, I do not think you should use Obama Phone in your advertisement..
Obama was not the first one who approved government phones– so how about just calling the program government phone ?….. I was surprised too .. but its true– in fact, many had government land line assistance at the beginning before the free cell phone. Did you miss the name of this website, Shirley? You have a couple options, Tina. (1) You can ask your current service provider for a free upgrade. They probably won’t give it to you, but it can’t hurt to ask. You will probably be required to pay a small upgrade fee. (2) You can purchase your own phone, but make sure that you ask your service provider if the phone you want to buy is compatible with its network BEFORE you purchase it. (3) You can switch to a different service provider if you are eligible to switch. New customers all get free smartphones. I need help getting a new phone and having trouble getting one online. It sounds as if you and your daughter both live at the same address. Is this correct, Trudy? If so, you have a problem, because only one free government cell phone is permitted per household. My governmentphone battery died didn’t get it charged in time to reply to textthis to make sure phone service would be used now I have no service please email me back with a number call s9 I can get my service back on.. Check them all out to find the plan that works best for your needs. Contact Safelink’s customer service team, Kathy. Depending on how long you’ve had your account and what kind of mood your service rep is in, you may be able to get a free replacement. But it’s far more likely that you’ll be required to pay a relatively reasonably replacement fee. When I got on Obama Care, I wasn’t even told about this offer. I would love to have a smartphone! How can I Get one? We strongly urge our readers NOT to enroll at street events, because they have been the scene of so much fraud and abuse. Please enroll online or by phone, Linda. I replaced my safelink phone. With an up to date tracfone.. Firstly I had problem tranfering my number. Now that it is transfered my mins are screwed up. I received a text about unlimited minutes for 15$ from safelink. Well I tried to apply for it online only to be told that my number which remained the same is no longer a safelink number. like how is that possible when safe like is tracfone. I only changed phones because the original phone was broken. Help please. this shouldn’t be this hard. You are correct that it shouldn’t be this hard, Suzette. We can’t help you, though, because we are NOT Safelink or Tracfone nor any other free government cell phone company. Try calling Safelink again and ask to speak to a supervisor. Can anyone help me? Last few months tracfone from safe link wireless wasn’t working probably ..I tried finding numbers and websites..had no luck! So I ended up transferring info to another phone had lying around..used it for a little bit until my husband accidentally dropped it and screen completely shattered..so it was thrown out..my question is have any info on right ppl to get tracfone replaced with a new phone..or is there a way I can switch all info over again to a Samsung 4g galaxy 4? Currently I have no phone and haven’t had for a lil over a month..plz help! If you transferred service to another phone once, you should be able to do it again, Tina. Just make sure you make sure the new phone is compatible with your service provider’s network. I’m using a friend’s phone to post this. I currently have an old Obama phone. I called SafeLink which connected me into the Philippines. The representative said I would be sent a new smartphone after verifying my account. Now I’m told I have to buy a phone. After a lengthy conversation with the supervisor name Lester at the call center. I was told that because I was disputing what their representative told me even after asking him to review the previous phone call with the representative that now my phone service would be discontinued. So I received a SIM card but no new phone as promised by the representative. Also I asked the supervisor to review the previous recorded conversation with the representative who said I would receive my new smartphone within 5 to 10 days. When I explain this to the supervisor he basically said he wasn’t going to do anything about it. My plans are to pursue this legally. Of course pro bono since I have no income. Look up your free government cell phone on our “Providers” page. The info you need is on that page. 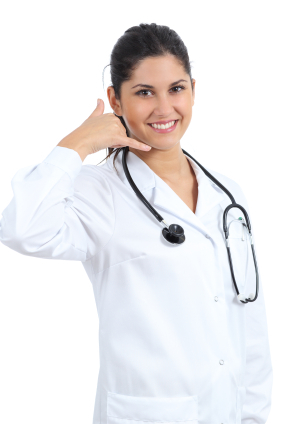 I have Obama care and how can I get free cell phone ? I am not working right now. please send me the info. I have been looking for free cell phone vendors in Grover Beach, CA. How do I locate a vendor in my area? Ahhhh, beautiful Grover Beach, one of the jewels of California’s Central Coast. We spent a lot of time there in the good ol’ days. Do yourself a favor, Patrease, and enroll by phone or online from the comfort of your home. It’s much safer, much less risk of fraud and abuse and identity fraud. My mother has the phone with free service. I want to get her a newer phone for Mother’s Day. Am I able to do that and her still get the free service on it? the customer service of this company is horrible and incompetent. No body can answer my question, only one question… They let me waiting in the line for more than 30 minutes. They said “one moment please, I will find your information” and they let me in the line for other 30 minutes… finally I give up. Can you help me back on.? We’re not your service provider, Joseph. We’re an independent informational website. You need to contact your service provider’s customer service team to figure out the source of the problem. We can’t help you, Tina, because we’re not your service provider. You must contact your service provider’s customer service team directly. I work for a county department of social services and would like to be able to help my clients get set up with a free phone. How do I go about doing that? The eligibility requirements are the same for all the companies, so each of your clients needs to select the company that offers a plan that’s best for them (most minutes, most texts, most data, best smartphone, etc). Then they just need to use the contact info we provide for each company to contact that company and enroll. Feel free to tell them to click around our website just so they understand exactly how the program works and what they should expect. Have you tried calling 888-321-5880? If not, give it a try. My safelink was stolen I need I new one please its been gone for two year’s. I have Obama care (Ambetter of Arkansas balanced care 7) so do I qualify for free government phone? I would like an Obama phone. I get food stamps. Start by checking the FreeGovernmentCellPhone.net home page, Pearl. Go to our home page and follow the instructions. If you qualify because you fall into a low-income category, or if you already participate in another government assistance program, there’s no reason you shouldn’t be able to get one. Good luck. As someone with a 7-year-old Samsung flip, I realize that technology and consumer vanity are making ‘smartphones’ commonplace. Still, it’s interesting that not only are this program’s beneficiaries getting fairly high-tech toys that double as essential communication devices, but the program also seems poised for expansion to allow those in its target demographic to have similarly subsidized Internet service. It’s becoming very difficult for some people to differentiate between government-sponsored necessities and gratuitous perks that are the result of neo-liberal socialism. I ‘get by’ on a substantially lower pay rate than the proposed and hotly debated minimum wage of $15/hr. for fast-food workers. Internet service costs me $40 a month, with fairly nominal surcharges on top of that, and I had to somewhat aggressively negotiate with my provider for a lock-in at that rate. My service has been shut off on a couple of occasions, too. Boo-hoo for me, right? While it’s no effective solution after the fact, in a noble effort to partially rectify socio-economic disparity and distress indigent people should reproduce less. Businesses should physically remain in America, not just in corporate name, for the provision of livable wages. Even though ours is a nation of immigrants, can’t bleeding heart social reformists see the largely unchecked influx of them as a detriment in the modern economy? Can’t afford a kid — or four? Don’t have them. Perhaps forego an eight-figure CEO salary and keep American jobs on domestic soil? Well, this IS the land of opportunity and The American Dream. What do you do about the dozen ‘illegals’ in front of a Home Depot who will chase down a single pickup truck in competition for one laborer’s worth of day work like whores entreating Johns at a stoplight? Change ain’t gonna happen on a scale great enough to make a difference. America has made its own poverty, and social welfare programs have never been truly effective responses to ignorant actions or indifference. How are free smartphones and Internet service for the poor going to alter that? How can we reconcile such questionable token gestures of welfare with the fact that there are many ‘working poor’ who are equally disenfranchised yet don’t qualify for the slightest bit of assistance from ‘The System’? I’m sure someone without a job will have the time to perform a Google search for an answer to that question on their free smartphone with Wi-Fi. Yeah, this was a somewhat irrelevant rant — yet not. I must say that the number of polite and sincere requests I’ve seen among the comments here is touching, even though they are mostly steeped in naivete. I am not being sarcastic with that statement. I wish well to all, and in a perfect world we’d have that. Seems to me that you have a few issues of your own to work out. Because I don’t see want people needing or those who have a free phone has anything to do with 99 percent of what you have written. Unless what you have written is misunderstood being as what alot of people needing a free phone may think when reading this too. Since I myself was not able to get a proper education was not able to understand a third of what you said. I do however disagree with the way you talk about immigrants since my spouse is Mexican along with half his family. Also the way you speak about those having or have children is ridiculous. Sometimes fate just happens so deal with it. And if you disagree with or don’t believe that people can and do get free phones with talk, texting and data that’s your problem.. Because I do in fact have a free phone myself. With unlimited talk, texting and a set data amount. I was a little shocked myself when I heard you can get a free phone with minutes and texting. But then got the phone and it had data. So I felt blessed for the providers for having this program. At this time in our lives we are unable to afford some of our bills and medical insurance and to not have to worry about a phone bill is just a blessing. I don’t use the data really at all but there was an emergency in our family in the last 2 months since we got the phone that made me so grateful that I had it to get me to where I needed to be. And that’s all I have to say about that. So GOD bless. hello, i would like to revise a Obama smart phone please!! I have had my Obama care phone for a couple years.unfortunately it is not working now. Hi! I would like to recieve a free obama phone. You came to the right place for information. I would like to have one those Obama government free phones and I need a new number cause I don’t have one now and need it soon. Please. Thanks! How do I find the in store application mail to you venders. In my town? I’m interested in a free cell phone. Read this website. Start on the home page. I’m interested in receiving a new cell phone how do I qualify? The website will tell you how you may be able to get one for her. Read this page on California Lifeline phones and see which works for you.